"Effective Audio and Video Conferences"
For the success of any audio conference, the quality of the voice transmission line is crucial. Voice quality in a video conference is impacted by the acoustics of at least two rooms – the caller and the listener. Today, most audio conferencing endpoint products (speakers, microphones, and audio mixing controls) are full-duplex systems, providing the same kind of interaction one gets from the telephone, with important improvements. 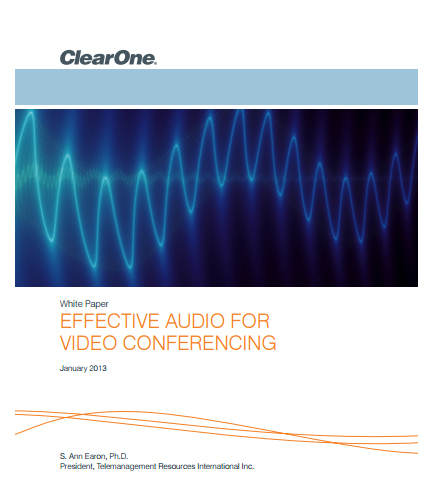 This whitepaper addresses what needs to be done with audio to make it effective in all situations so users can clearly hear everyone involved in audio and video conferencing calls.